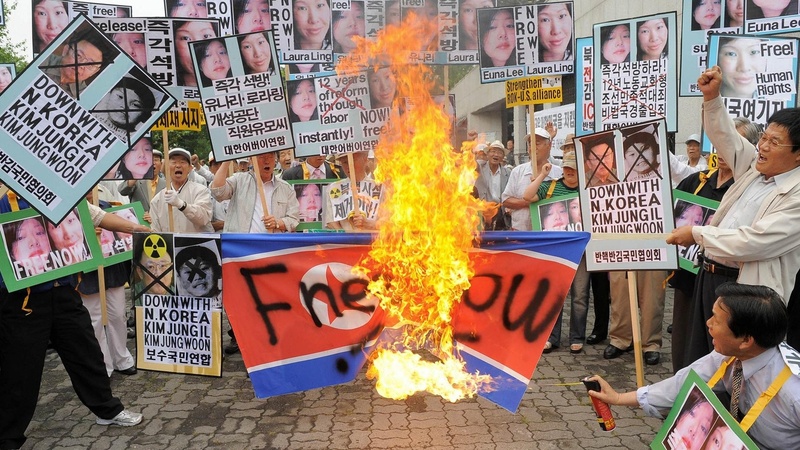 Are US Journalists Being Used as Pawns by North Korea? North Korea said today that it would use nuclear weapons in a "merciless offensive" if provoked, just two days after sentencing two American journalists to twelve years in a gulag-type prison labor camp. On our rebroadcast of today's To the Point, guest host Sara Terry explores the motives behind North Korea's recent aggressive actions and whether the US should re-start negotiations or take a hard-line stance with the secretive communist power. Also, "congestion pricing" comes to Southland freeways, and a victory for human rights activists in the Niger Delta. North Korea has sentenced two American television reporters to twelve years in a prison labor camp, prompting an international outcry.